The Grand Prix of Monaco TM is THE mythical race, the hardest of the Formula 1 World Championship, one of the greatest and most challenging racing events on the sports calendar. It is the most prestigious motor race of the world, under exceptional conditions. We are pleased to offer superb, highest quality, valuable opportunities to live and experience one of the most incredible weekends of racing in the calendar that culminates with the Formula 1 Grand prix TM on Sunday. 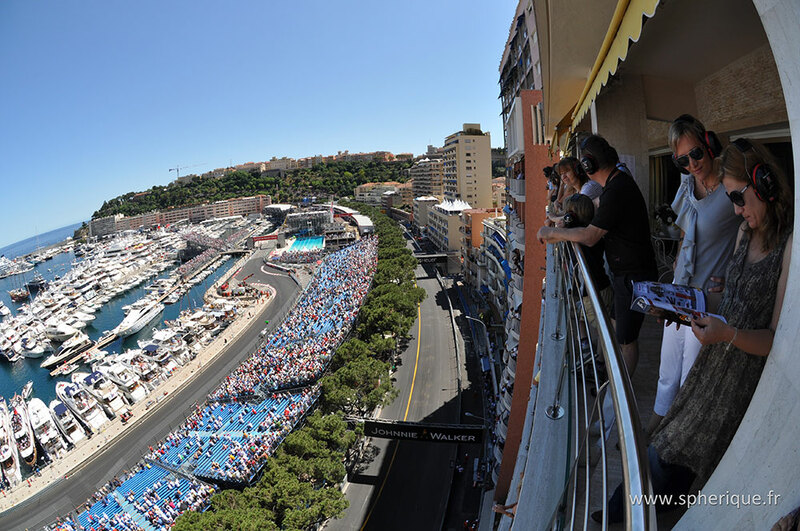 Guests will view the race from a private and exclusive terrace situated in one of the main buildings located on the start / finish line and the main Port Hercules. All the locations are among the very best that exist on the entire circuit and offer a 75% view of the race. You prefer to sit in one of the grandstands along the track ? Choose on the map the place that best suits your needs and click to check the availability and book your seats.